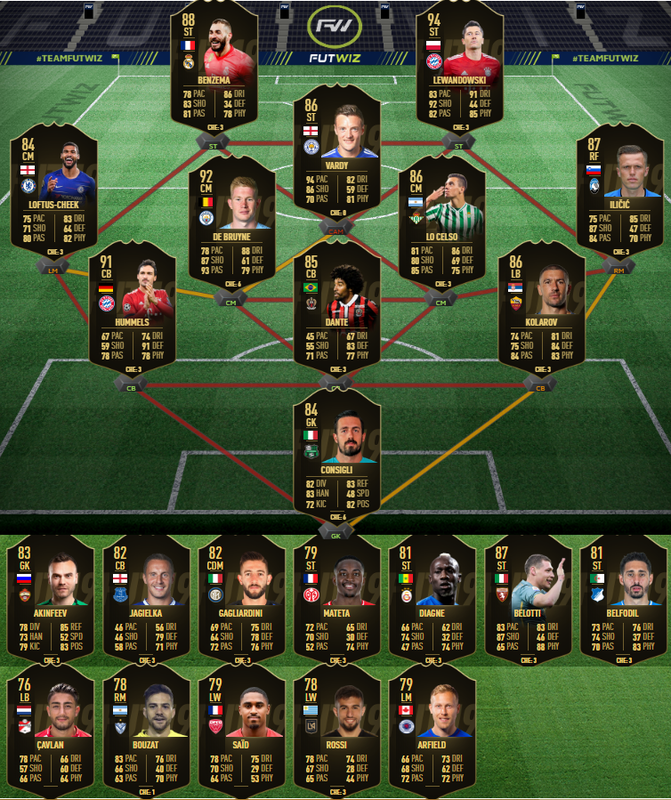 TOTW 30. It’s week 30 of FUT 19 already. Damn, time flies. This week gonna be strange, because I think midweek games will be included, so this way we’ll get a bit more higher-rated players. Lewandowski and Hummels destroyed Dortmund in Klassikier. I could give whole Bayern team IFs and it’d be reasonable, but I decided to choose 2 ex BVB players. Kevin De Bruyne was mid-week MOTM, so I decided to include him, as City have played in FA Cup on a weekend. Benzema carried Madrid. He was really clutch and scored 2 goals. Ilicic, RLC, Belotti, Gagliardini all included for their mid-week heroics. Defenders were hard to choose from: Dante got 7 from L’equipe, Kolarov got MOTM in their 1-0 win.